mima, a Dutch designer and manufacturer of strollers and high-chairs, has released their newest product, which is unlike anything the brand has ever unveiled to the market. 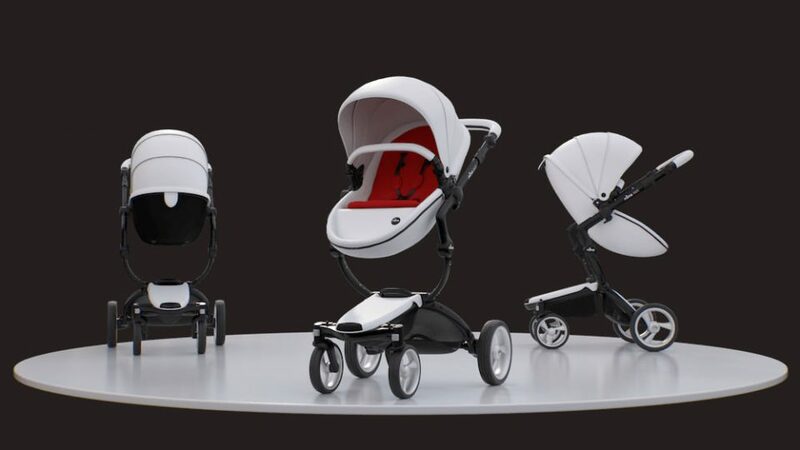 Introducing the zigi, a beautiful, compact buggy with the same sleek and modern design consumers expect from the brand. The stroller upholds mima’s promised quality, comfort, and sleek design, while being easy to travel with and at a new price point for consumers. Hitting the market this month, September, the zigi is introducing a new audience to the mima line, and expanding its reach to the average consumer. Featuring sophisticated engineering, zigi is sturdy, but lightweight, weighing a mere 18.5 pounds and is incredibly easy to handle. Designed for refined globetrotters, zigi is the most desirable companion for families on the go. Folding zigi is a breeze and can be done with one arm and baby in the other, the buggy even stands upright on the floor after being folded. The super compact fold (22x18x10in) is accepted as cabin luggage on most airlines. Other engineering ingenuities include the durable and lightweight transparent wheels and the rear suspension that facilitates a smooth ride. An adjustable handlebar comfortably accommodates parents and guardians of all heights and the large basket elegantly keeps all personal belongings out of sight. A triple flap canopy offers UV protection and near total shade and a five-point safety harness with shoulder pads ensures safe strolling. With a backrest that can recline up to 150 degrees, the zigi is perfect for napping on the go. Newborns are welcome in the zigi as the chassis can be adapted for the zigi newborn seat or various car seats. Children can remain in the zigi up to 37.5 pounds. Comfort, clean lines, and functionality define this magnificent product, thereby making baby’s mode of transportation not only sleek, but unique. The stroller made its debut at this year’s JPMA Baby Consumer Show in Chicago, with select media gaining early access to the products. Available in the United States in September, zigi will be coveted by the parents with the desire for a designer stroller that will easily travel with them. zigi is being offered in three colors: charcoal, midnight blue, and olive green. The stroller is available online at mimausa.com (http://www.mimakidsusa.com/)and official retailers, and will retail for $699. As with most other product launches initiated by the brand, the zigi is expected to sell out within hours of its launch.